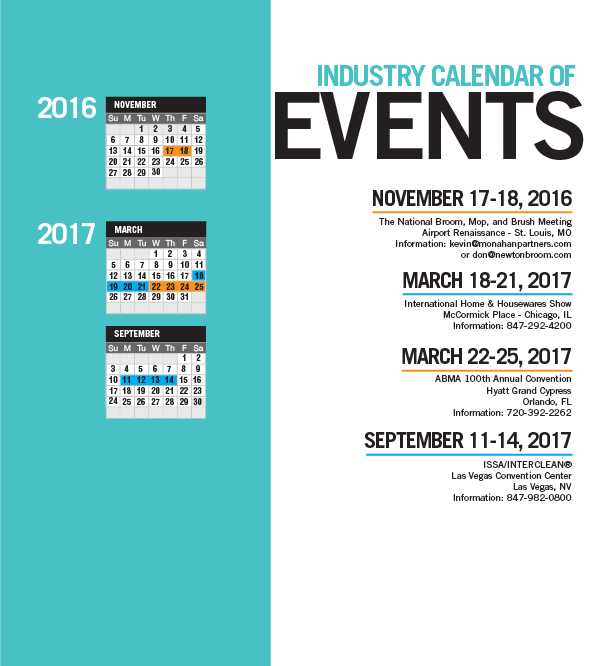 The annual National Broom, Mop & Brush Meeting is scheduled for November 17-18, 2016, in St. Louis, MO. The event will again take place at the Renaissance St. Louis Airport Hotel. Co-chairmen Kevin Monahan, of Monahan Partners, Arcola, IL, and Don Leventhal, of Newton Broom & Brush Company, Newton, IL, have been working to ensure all manufacturers, suppliers and trade press representing different broom, mop, brush and related industries are invited. The event begins on Thursday, November 17, with registration from 4 to 6 p.m., a networking/cocktail hour from 5 to 6 p.m., and dinner starting at 6 p.m. The main program will take place on Friday, November 18, starting with a breakfast buffet at 7 a.m. The meeting portion of the event begins around 8:15 a.m. with opening remarks, to be followed by guest speakers Brad Jones, Missouri state director of the National Federation of Independent Business; and Bethany Hearn, principal at CliftonLarsonAllen, of Champaign, IL. Jones, who represents over 8,200 small businesses, will speak on the 2016 U.S. national election and how its results could impact business; while Hearn, who provides valuation and forensic accounting to owners of privately held companies, will discuss how businesses can prepare for a “triggering event,” such as a purchase or merger with another company. In addition to the guest speakers, there will be industry reports from various professionals, focusing on such topics as broom corn, tampico and palmyra fiber; plastic filaments; wood, metal and fiberglass handles; mop yarn; wire; packaging; and a foreign exchange update. The meeting is expected to be completed by noon. On-site registration for the meeting is $175 (check or cash only). Meanwhile, hotel reservations can be made by phone at 314-429-1100 or online. The Renaissance St. Louis Airport Hotel is located at 9804 Natural Bridge Road, St. Louis, MO 63134. The hotel is adjacent to Lambert-St. Louis International Airport. A complimentary shuttle service is available between the airport and hotel. U.S. government trade figures for the first seven months of 2016 indicated raw material imports were down in three categories outlined: hog bristle, broom and mop handles and metal handles compared to the first seven months of 2015. For July 2016, all four categories outlined reported decreases: hog bristle, broom and mop handles, brush backs and metal handles, compared to July 2015. Import totals for the first seven months of 2016 were up in four finished goods categories outlined: toothbrushes, paint rollers, paintbrushes and upright brooms, compared to the first seven months of 2015. In July 2016, six categories outlined recorded decreases: brooms of broom corn valued at more than 96 cents per broom, brooms and brushes of vegetable material, toothbrushes, paint rollers, paintbrushes and upright brooms, compared to July 2015.
hog bristle were imported, down 12 percent from 148,160 kilograms imported during the first seven months of 2015. China sent 130,553 kilograms of hog bristle to the United States during the first seven months of 2016. The average price per kilogram for July 2016 was $30.42, up 22 percent from the average price per kilogram for July 2015 of $24.96. The average price per kilogram for the first seven months of 2016 was $22, up 17 percent from the average price per kilogram of $18.83 for the first seven months of 2015. The import total of broom and mop handles during July 2016 was 1.5 million, down 17 percent from 1.8 million for July 2015. During the first seven months of 2016, 9.8 million broom and mop handles were imported, down 10 percent from 10.9 million for the first seven months of 2015. During the first seven months of 2016, the United States received 5 million broom and mop handles from Brazil, 2.9 million from Honduras and 1.2 million from China. The average price per handle for July 2016 was 76 cents, down 19 percent from the average for July 2015 of 94 cents. The average price for the first seven months of 2016 was 91 cents, down 4 percent from 95 cents for the first seven months of 2015. July 2016 imports of brush backs totaled 693,134, down 2 percent from 703,979 for July 2015. During the first seven months of 2016, 4.3 million brush backs were imported, up 8 percent from 4 million for the first seven months of 2015. Both Canada and Sri Lanka sent 2 million brush backs to the United States during the first seven months of 2016. The average price per brush back was 48 cents during July 2016, up 1 cent from the average price for July 2015. For the first seven months of 2016, the average price per brush back was 46 cents, down 1 cent from the average price for the first seven months of 2015. During the first seven months of 2016, China exported 6.8 million metal handles to the United States, while Spain sent 5.8 million and Italy shipped 1.8 million. The average price per handle for July 2016 was $1.13, up 1 cent from the average price for July 2015. The average price for the first seven months of 2016 was 94 cents, down 5 percent from the average price for the first seven months of 2015 of 99 cents. The United States imported 625,828 brooms of broom corn valued at more than 96 cents per broom during July 2016, down 8 percent from 682,871 for July 2015. During the first seven months of 2016, 4.4 million brooms of broom corn were imported, the same as for the first seven months of 2015. Mexico shipped 4.3 million brooms to the United States during the first seven months of 2016. The average price per broom for July 2016 was $2.45, down 4 percent from $2.56 for July 2015. The average price per broom for the first seven months of 2016 was $2.52, down 2 percent from the average price for the first seven months of 2015 of $2.56. The import total of brooms and brushes of vegetable material during July 2016 was 107,765, down 84 percent from 661,960 brooms and brushes imported during July 2015. During the first seven months of 2016, 2.2 million brooms and brushes were imported, down 41 percent from 3.7 million for the first seven months of 2015. 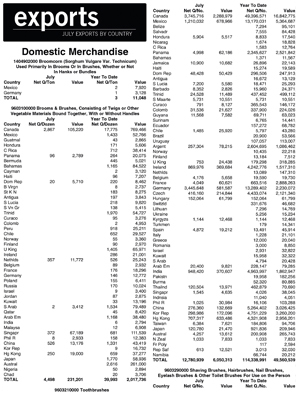 Sri Lanka exported 1 million brooms and brushes to the United States during the first seven months of 2016, while Canada sent 642,643. The average price per unit for July 2016 was $1.67, up 70 percent from the average price for July 2015 of 98 cents. The average price for the first seven months of 2016 was $1.14, up 16 percent from 98 cents for the first seven months of 2015. The United States imported 90.5 million toothbrushes in July 2016, down 1 percent from 91.1 million imported in July 2015. During the first seven months of 2016, 646.7 million toothbrushes were imported, up 8 percent from 596.1 million imported during the first seven months of 2015. China sent 481.3 million toothbrushes to the United States during the first seven months of 2016, while Vietnam shipped 46.7 million. The average price per toothbrush for July 2016 was 24 cents, the same as for July 2015. The average price for the first seven months of 2016 was 22 cents, down 12 percent from the average price for the first seven months of 2015 of 25 cents. July 2016 imports of hairbrushes totaled 3.7 million, the same as for July 2015. During the first seven months of 2016, 25.1 million hairbrushes were imported, down less than 1 percent from 25.2 million for the first seven months of 2015. China shipped 24.7 million hairbrushes to the United States during the first seven months of 2016. The average price per hairbrush was 22 cents during July 2016, up 1 cent from July 2015. For the first seven months of 2016, the average price per hairbrush was 24 cents, down 1 cent from the first seven months of 2015. The United States imported 4 million shaving brushes in July 2016, up 14 percent from 3.5 million imported in July 2015. During the first seven months of 2016, 41.5 million shaving brushes were imported, down 16 percent from 49.2 million imported during the first seven months of 2015. China sent 27.2 million shaving brushes to the United States during the first seven months of 2016, while South Korea shipped 5.7 million. up 36 percent from 11 cents for the first seven months of 2015. The import total of paint rollers during July 2016 was 6.4 million, down 2 percent from 6.5 million for July 2015. During the first seven months of 2016, 44.5 million paint rollers were imported, up 7 percent from 41.4 million during the first seven months of 2015. China sent 35.8 million paint rollers to the United States during the first seven months of 2016, while Mexico shipped 2.9 million. Also shipping paint rollers were Cambodia, 2.6 million, and the Czech Republic, 2.4 million. The average price per paint roller for July 2016 was 47 cents, down 22 percent from the average price for July 2015 of 60 cents. The average price for the first seven months of 2016 was 48 cents, down 4 percent from the average price for the first seven months of 2015 of 50 cents. U.S. companies imported 21.9 million paintbrushes during July 2016, down 15 percent from 25.9 million for July 2015. Paintbrush imports for the first seven months of 2016 were 151.1 million, up 4 percent from 145.6 million for the first seven months of 2015. China shipped 142.2 million paintbrushes to the United States during the first seven months of 2016. The average price per paintbrush for July 2016 was 33 cents, down 1 cent from July 2015. The average price for the first seven months of 2016 was 31 cents, down 9 percent from 34 cents for the first seven months of 2015. The total import of upright brooms for July 2016 was 1.3 million, down 7 percent from 1.4 million for July 2015. During the first seven months of 2016, 9.9 million upright brooms were imported, up 10 percent from 9 million imported during the first seven months of 2015. China sent 8.8 million upright brooms to the United States during the first seven months of 2016. Export totals for the first seven months of 2016 were up in three categories outlined: toothbrushes, shaving brushes and paintbrushes, compared to the first seven months of 2015. In July 2016, two categories outlined reported increases: toothbrushes and paintbrushes, compared to July 2015. The United States exported 4,498 dozen brooms and brushes of vegetable materials during July 2016, down 38 percent from the July 2015 total of 7,249 dozen. Exports of brooms and brushes of vegetable materials during the first seven months of 2016 were 39,993 dozen, down 20 percent from 49,697 dozen for the first seven months of 2015. The United States sent 17,775 dozen brooms and brushes to Canada during the first seven months of 2016. The average price per dozen brooms and brushes was $51.40 in July 2016, up 1 percent from $50.97 for July 2015. The average price per dozen brooms and brushes for the first seven months of 2016 was $50.45, up 6 percent from $47.60 for the first seven months of 2015. The United States exported 49.4 million toothbrushes to Canada, 13.3 million to Germany and 13.2 million to Mexico, during the first seven months of 2016. The average price per toothbrush for July 2016 was 47 cents, up 4 percent from 45 cents for July 2015. The average price per toothbrush for the first seven months of 2016 was 43 cents, down 10 percent from 48 cents for the first seven months of 2015. Brazil imported 4.9 million shaving brushes from the United States during the first seven months of 2016, while Canada received 2.1 million. The average price per shaving brush for July 2016 was 98 cents, up 11 percent from 88 cents for July 2015. The average price for the first seven months of 2016 was $1.13, the same as for the first seven months of 2015. Canada received 3.6 million artist brushes from the United States during the first seven months of 2016, while the United Kingdom imported 447,495. The average price per artist brush was $3.86 during July 2016, up 86 percent from the average price for July 2015 of $2.08. For the first seven months of 2016, the average price per artist brush was $3.62, up 46 percent from the average price for the first seven months of 2015 of $2.48. The export total of paintbrushes during July 2016 was 206,289, up 88 percent from 109,817 for July 2015. During the first seven months of 2016, 2 million paintbrushes were exported, up 1	00 percent from 1 million for the first seven months of 2015. Canada imported 1.1 million paintbrushes from the United States during the first seven months of 2016, while the United Kingdom imported 357,452. The average price per paintbrush for July 2016 was $7.41, down 47 percent from $14.01 for July 2015. The average price for the first seven months of 2016 was $5.26, down 57 percent from $12.37 recorded for the first seven months of 2015.
ready to cut the ribbon during the company's grand opening ceremony. Brush manufacturer Gordon Brush Mfg. 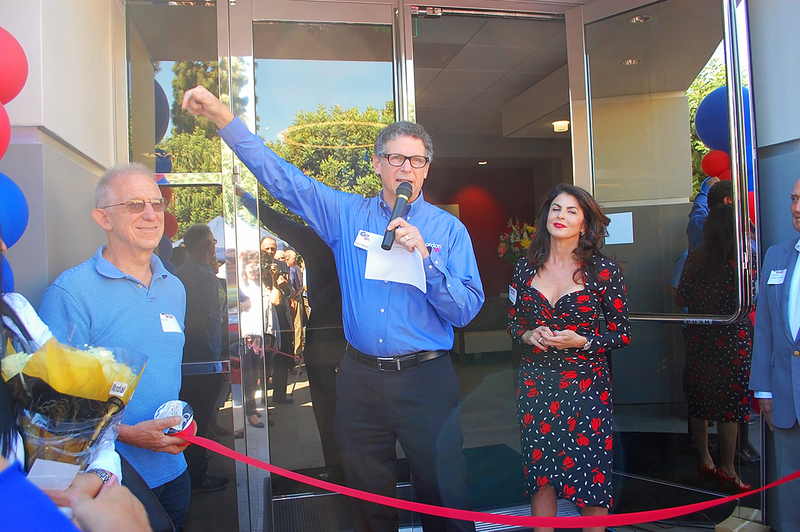 Co., Inc., hosted a grand opening of its new, state-of-the-art, 183,000 square-foot facility in the City of Industry, CA, on September 30. Almost 400 customers, vendors, affiliates, family, friends, employees and former employees, media and government representatives attended. Gordon Brush President and CEO Ken Rakusin spoke and Representative Ron Whittemore from The City of Industry’s Industrial Manufacturing Council, led the ribbon cutting ceremony. 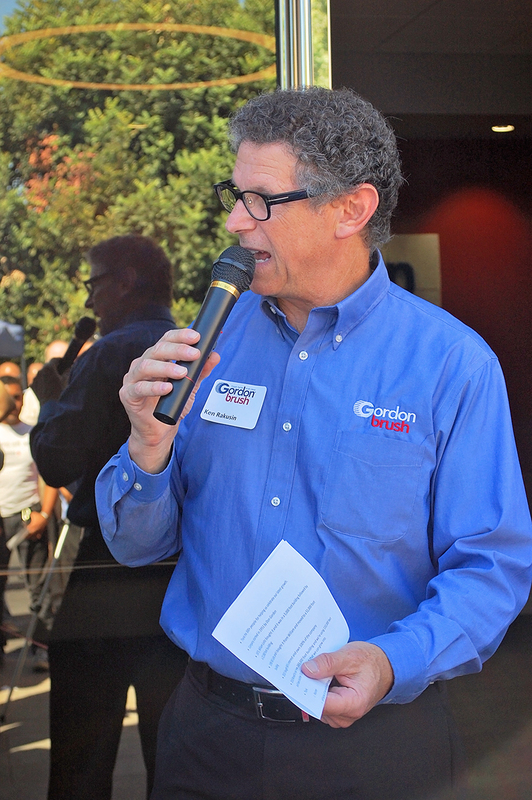 Gordon Brush was presented a certificate of recognition by California State Senator Bob Huff, District 29. Guests came from as far away as Taiwan, Belgium, Mexico, Massachusetts, Vermont, New York, Texas, Maryland, Illinois, Colorado and Ohio. A catered luncheon was served. Tours were given by company personnel, and attendees were presented with a parting gift of Gordon Brush’s Footmate® System. “I am so proud of what the company has accomplished during my tenure,” Gordon Brush President and CEO Ken Rakusin said. “We owe our success to our employees, customers, vendors and affiliates. Our new facility has been a vision of mine for many years. To see it come to fruition is a dream come true. 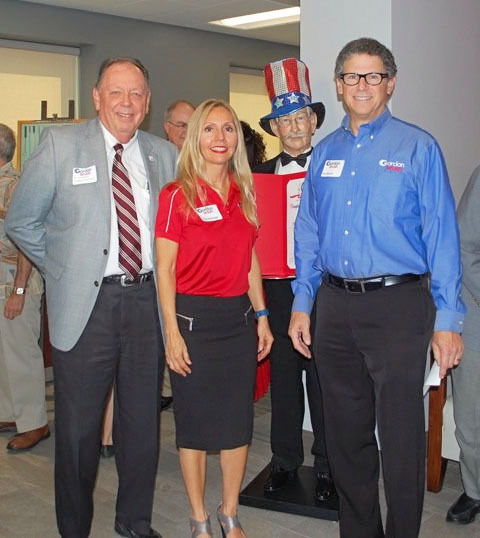 The City of Industry's (CA) Industrial Manufacturing Council Executive Director Ron Whittemore, left, is shown with Gordon Brush representatives Karen Demongin and Ken Rakusin. “Gordon Brush is focused on making higher quality and specialty items,” said Rakusin. Gordon Brush, founded in 1951, is ISO 9001:2008 certified and a manufacturer of specialty, custom and standard brushes for industrial and consumer purposes. The company makes the FootMate® System, as well as over 15,000 standard and custom brushes, selling to industries including: janitorial, medical, electronics, manufacturing, military, aerospace and pharmaceutical. 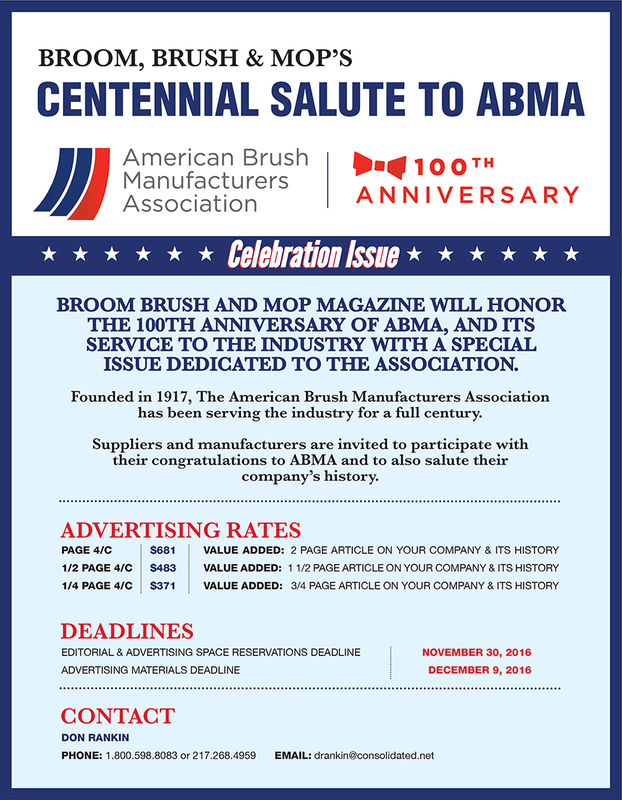 “Gordon Brush has made brushes for the United States Army to clean the main gun on the Abrams tanks, saving the U.S. Department of Defense over $1.5 billion. The company also has made brushes that were used on the space shuttle, the lunar module, and brushes to clean the guidance system and guns on the Apache helicopter. We manufacture brushes that grow microorganisms used as alternative energy sources; that are used by the FBI for fingerprinting crimes scenes; and for complex circuit boards in the computer industry. Gordon Brush has patents pending on stadium sweepers that are changing the way America cleans its sports stadiums and theater chains." Gordon Brush has received Member Resolution No. 1402, sponsored by Sen. Ronald S. Calderon, 30th California State Senate District. Visit www.gordonbrush.com for more information. Gordon Brush Acquires J.B. Ward & Sons, Inc.
Gordon Brush Mfg. Co., Inc., has acquired J. B. Ward & Sons, Inc., located in Wantage, NJ. J. B. Ward & Sons, founded in 1855, manufactures a premium line of custom brushes for a variety of industries, including pharmaceutical, graphic arts, electronics, textile and rubber. 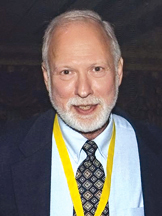 Ed Boscia, president and third-generation owner of J. B. Ward & Sons, will stay on as a consultant and assist with the transition. All of J.B. Ward's operations will be integrated into Gordon Brush’s new 183,000-square-foot, state-of-the-art facility. “After 47 years, I have decided to retire, and I felt that Gordon Brush was the best fit to continue our 161 year tradition of manufacturing a premium line of brushes and servicing our long-standing customers,” said Boscia. “The acquisition of J.B. Ward makes perfect sense for Gordon Brush for two reasons,” Gordon Brush President and CEO Ken Rakusin said. “Over 50 percent of Gordon Brush’s business comes from the manufacture of custom brushes, so by adding additional know-how and technology, Gordon Brush gains the capability of adding an entirely new line of custom brushes to its repertoire. Zephyr Manufacturing Co., of Sedalia, MO, recently joined a select group of industries highlighted by the Associated Industries of Missouri. Founded by Harry E. Lindstrom in 1927, Zephyr has evolved from only producing brooms to manufacturing mops, brooms, brushes and a variety of cleaning products to serve hospitals, schools, prisons, service contractors and industry. The majority of Zephyr’s products are manufactured in Missouri by Zephyr’s 35 employees. “We’re proud of our history and this recognition. AIM is a highly respected organization. 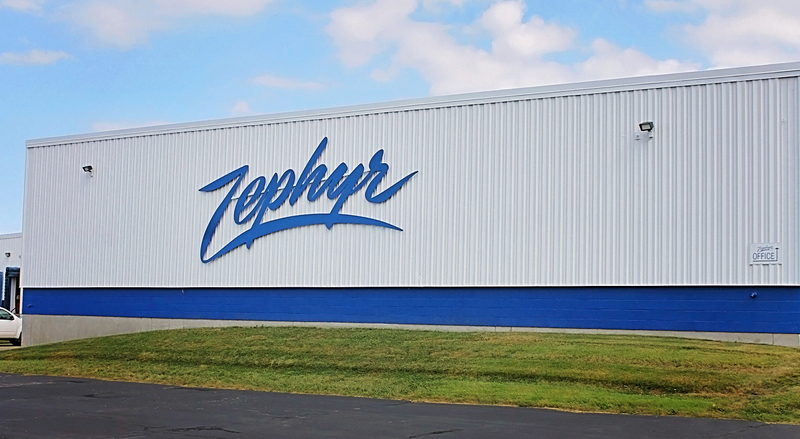 Zephyr’s greatest strength lies in its long-standing tradition of selling quality products at a reasonable price with great customer service,” said R.J. Lindstrom, president of Zephyr, and great-grandson of the founder. “Established in 1919, the Associated Industries of Missouri (AIM) is Missouri’s oldest, premier business association. AIM was built on the foundation of promoting a favorable business climate, empowering members through communication and education and serving as an advocate to the legislature, administrative agencies and the public,” according to a press release. Zephyr is a family owned and operated manufacturer that serves North America with specific products for the institutional, industrial, janitorial and food service markets. Visit www.zephyrmfg.com for more information. Nearly one and one-half years after the groundbreaking ceremony, Zahoransky inaugurated its new facility in Logroño, Spain. The entire management board of Zahoransky Group, as well as both Group Chairmen Ulrich Zahoransky and Gerhard Steinebrunner, attended the opening ceremony on Sept. 30, 2016. The Prime Minister of La Rioja, José Ignacio Ceniceros, and the Lord Mayoress of Logroño, Concepcion Gamarra, attended as guests of honor, as did the local management team along with clients and guests. “The new plant is a modern and functional facility that offers prime conditions for efficient and state-of-the-art machine assembly. The unsupported assembly hall without pillars has a surface area of 30 x 70 m. This doubles the production area to approximately 4,000 sqm. Approximately 2.5 million euro was invested in the new factory building,” said the company. The Zahoransky Group owns six production plants worldwide. With its business divisions — mold making, machinery, automation and medical technology — Zahoransky is a full-line supplier of injection molding tools, brush and broom production machines, packaging machines and cross-system automated solutions. Visit www.zahoransky.com for more information. For one of its long-time customers in the automotive manufacturing industry, Abtex Corp., of Dresden, NY, used its patented Tri-Ten technology — combined with a combination of robotics and a custom-designed circular table — to create a system that deburrs nearly 500 fineblanked parts per hour, while taking up only 12 square feet of manufacturing floor space. “Abtex’s Tri-Ten technology offers the deburring power of three, 10-inch nylon filament abrasive brushes revolving at up to 1500 RPM, under a planetary head that moves to deburr the parts without affecting surface dimensions." To move the fineblanked parts through the deburring process in a compact space, Abtex used a 6-axis Fanuc robot to feed a customized, non-magnetic table containing 14 changeable nests that hold parts during deburring. The system incorporates inflow and outflow conveyors to move parts efficiently through the operation. The system, which currently deburrs a minimum of 480 parts per hour, is designed to handle twice that volume with no additional equipment required. Abtex Corporation has been providing integrated brush/machine deburring solutions to the North American manufacturing industry since 1980. The company supplies filament brushes and custom-designed deburring machines for machined-part, aluminum-extrusion, fine-blanked and powdered-metal applications. Customers include manufacturers such as automotive Tier 2 and Tier 3 parts producers. 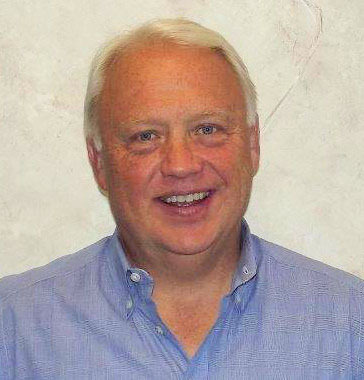 Kim Erdmann has been named the new CEO/president of Schaefer Brush, located in Waukesha, WI. “He has 35 years of manufacturing leadership, with successful P&L responsibilities in Fortune 100 companies including Frito-Lay and ITW. He has completed turn-a-rounds in both private and public industry,” according to Schaefer Brush. 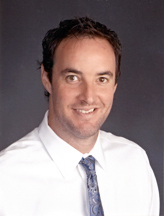 Erdmann received an MBA from the University of Wisconsin-Madison and a BBA from UW-Whitewater. He serves as the board chairman for a hospital, and has served on multiple non-profit boards. Schaefer Brush is a 110-year-old business that was purchased by Blackthorne Partners in 2015. Visit www.schaeferbrush.com for more information. The Power-Deuce® is a self-cleaning brush with rustproof, stainless steel bristles. The brush removes copper residual and any buildup when converted from a fitting brush to the O.D. tube cleaning brush. A heavy-duty, ABS housing is impact resistant and protects bristles so they retain their shape and prolongs brush life. of high-performance brushes, thread sealants, abrasives and specialty tools designed for professional contractors. “The Power-Deuce cleans fittings and tubing fast and is ideal for large plumbing and refrigeration projects. The specialty brush converts from an O.D. tube cleaning brush to a fitting brush by retracting the impact-resistant ABS housing to expose the I.D. fitting brush. This can be done with one hand and can be converted back to an O.D. tube cleaning brush by reversing the procedure,” said Mill Rose. The brush can also be used as a hand tool to clean fittings and tubing if power is not available. The Power-Deuce is offered in a variety of sizes. Blue Monster® is the exclusive brand of Clean-Fit Products, a division of The Mill-Rose Company, of Mentor, OH, a supplier of PTFE thread sealants and manufacturer of twisted-in-wire brushes. call 800-321-3598 for more information.